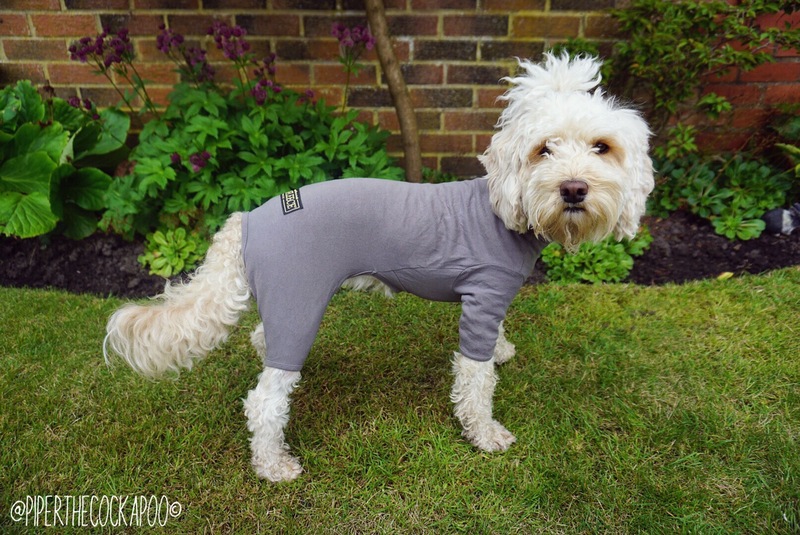 A light coloured, long-haired dog doesn’t mix well with rain & mud so Piper’s Equafleece collection has been a real life saver for us. 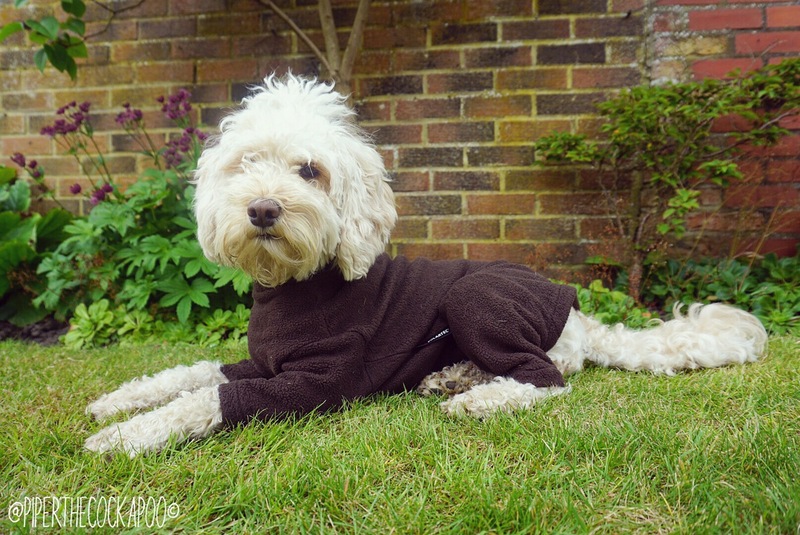 Piper feels the cold really badly in winter and often needs to wear a jumper, so the practicalities of Equafleece were perfect for us. 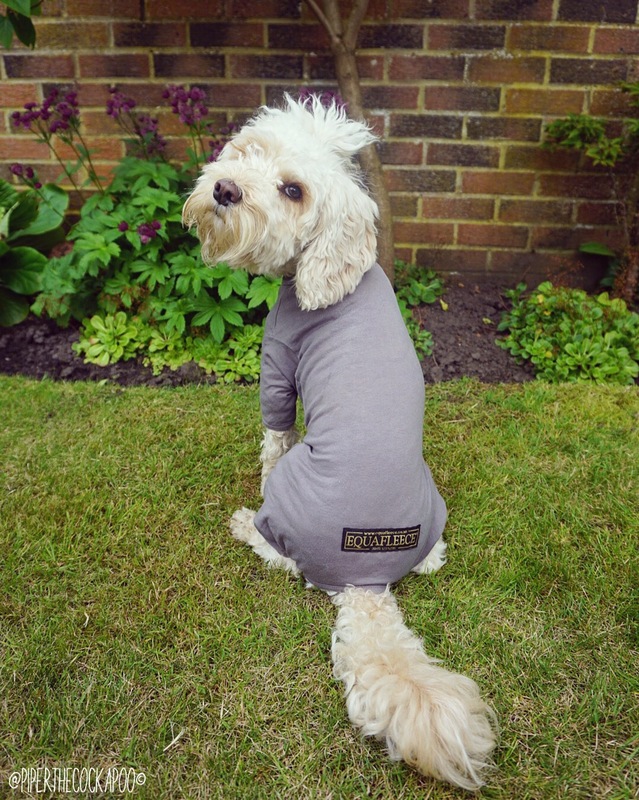 The products come in a variety of different styles, sizes & colours to meet every individual dog’s needs. 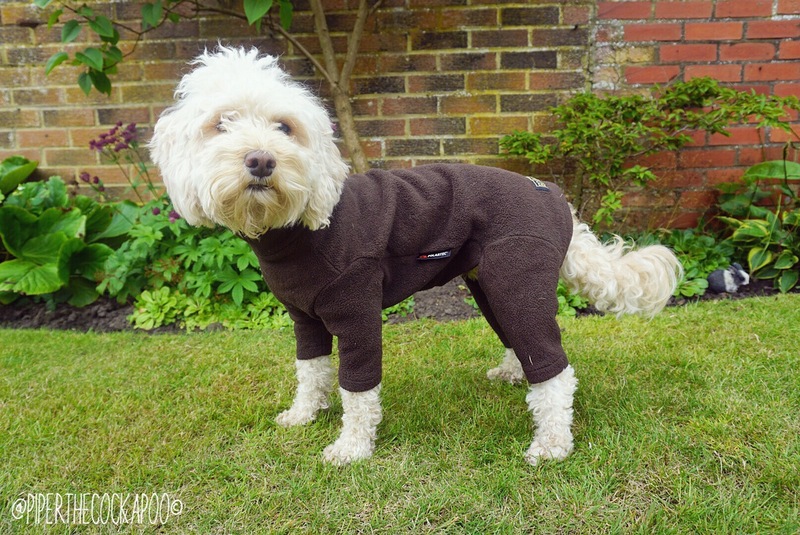 The Dog Suit is essentially a onesie for a dog, that keeps them clean. It is made out of Polartec so is waterproof & keeps the dirt off really well. You can also pop these on a wet & muddy dog to clean them off after a walk, and you would be surprised at how clean the dog come out! I don’t know how many hours of bathing this has saved us over the winter months! Instead of having to put Piper in the shower after every walk, when she’s wearing the suit all I have to do is clean her paws. You then sling the suit in the washing machine and it’s good as new again! Here, Piper is wearing the 18/20″ Slim in Dark Brown. The Dog Tankie is made out of exactly the same material as the suit & works in exactly the same way. Instead it just covers the dog’s body rather than including the legs. 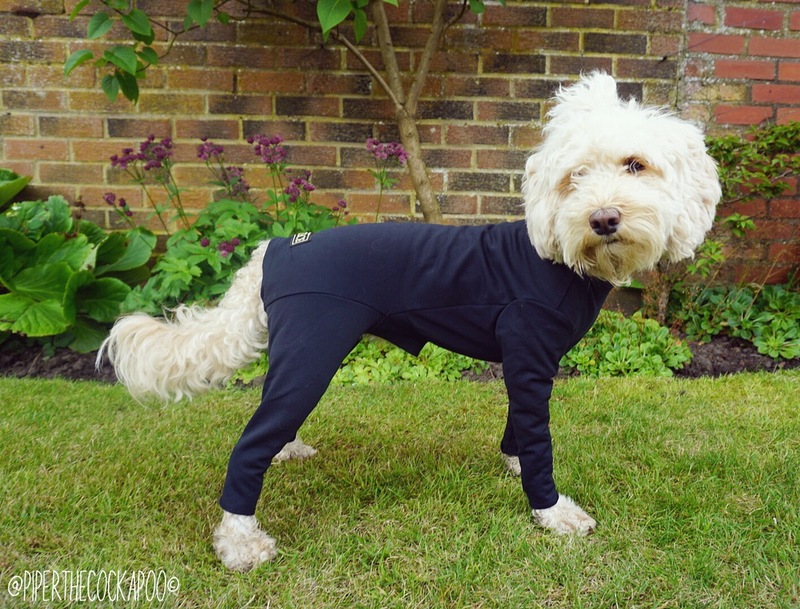 Perfect for dogs who perhaps may get too hot in the full suit. We have found the tankie to be really useful in the rain (when it’s not too muddy) or when Piper has been swimming and needs a jumper to warm back up. Because Piper is so scrawny, she is actually wearing a Dog Jumper in the size 16″ Slim Dachsie (no sleeves), but you can’t tell the difference! The colour is mulberry, which we love & it’s our favourite out of the range. The Summer Suit is just that, a suit which can be worn in the summer. As soon as Piper gets wet, she gets really cold really quickly- even at the beach in summer! So the summer suit is perfect for us. When it starts to rain but is still warm outside (something which the British summer time is famous for) we pop this on her and it keeps her more comfortable. 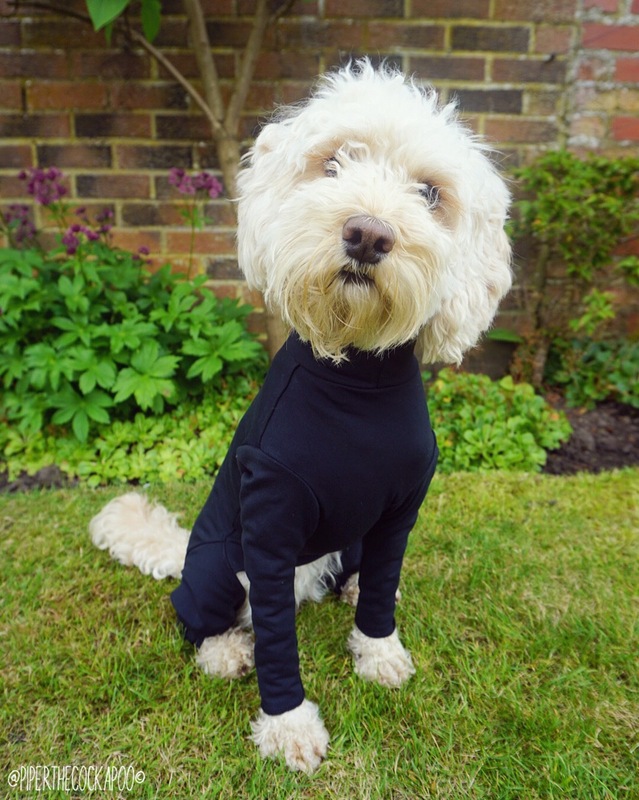 It’s made from a Lycra style material and is to a degree of water repellent (but it’s always managed to keep Piper dry!). It’s very lightweight and also works well as a tick suit. Piper is wearing the 16″ in the colour black. We bought the T-Shirt Suit to use in the summer months! Because Piper is so fair we have to be careful that she doesn’t burn when she’s outside all day- perfect solution! It feels very much like a lightweight cotton t-shirt. We like to quickly soak the suit in cold water, wring it out then pop it on Piper to keep her nice a cool. 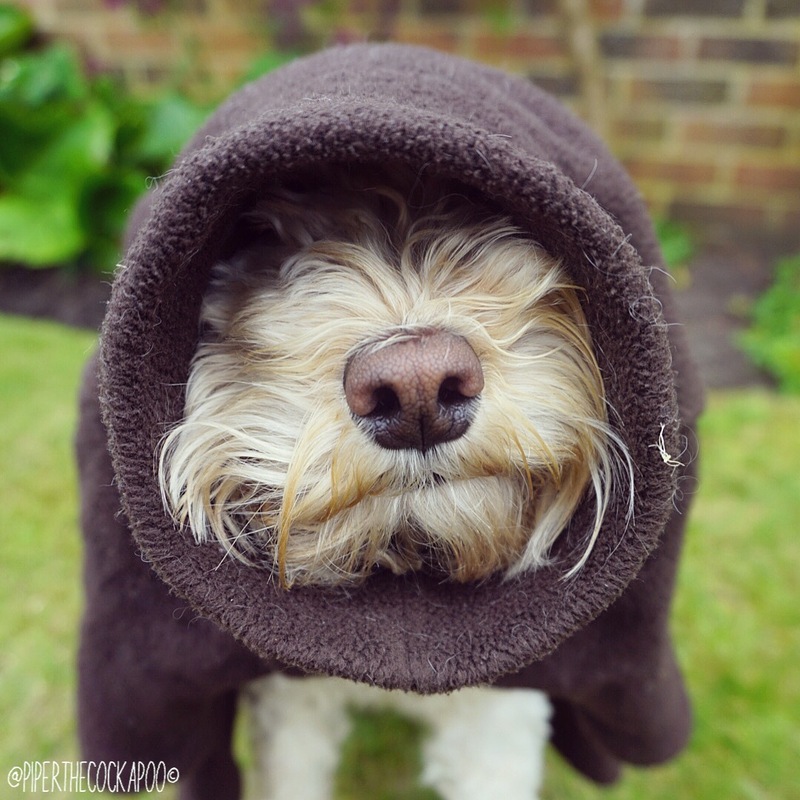 It works really well as a cooling coat! Piper is wearing the size 14/16″ in the grey colour. 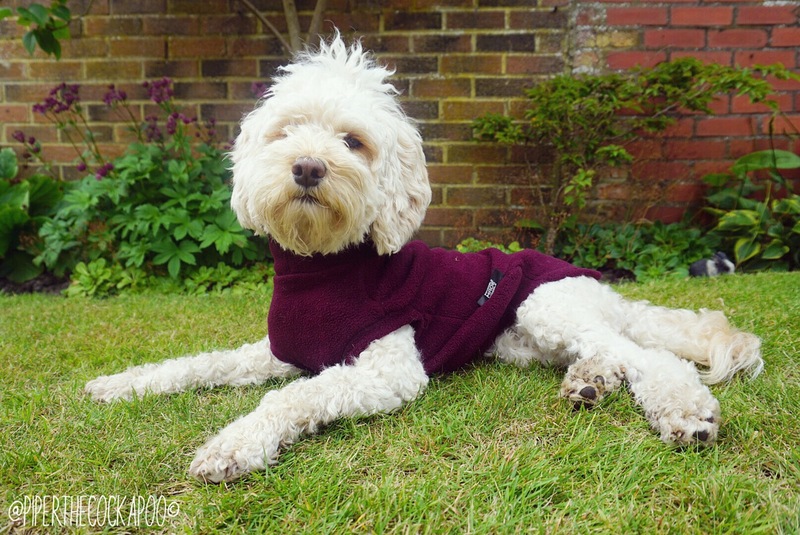 We’ve hope you’ve enjoyed reading about Piper’s Equafleece collection & how useful they all are to us. We would recommend these products whole-heartedly to any of our doggie friends as they really are game changers for us & make looking a 4 legged friend just that little bit easier! Thanks for posting the sizes. I have been unable to get through to equafleece. I tried entering my dog’s measurements but the calculator didn’t like it. I was at a loss as to what size to order. 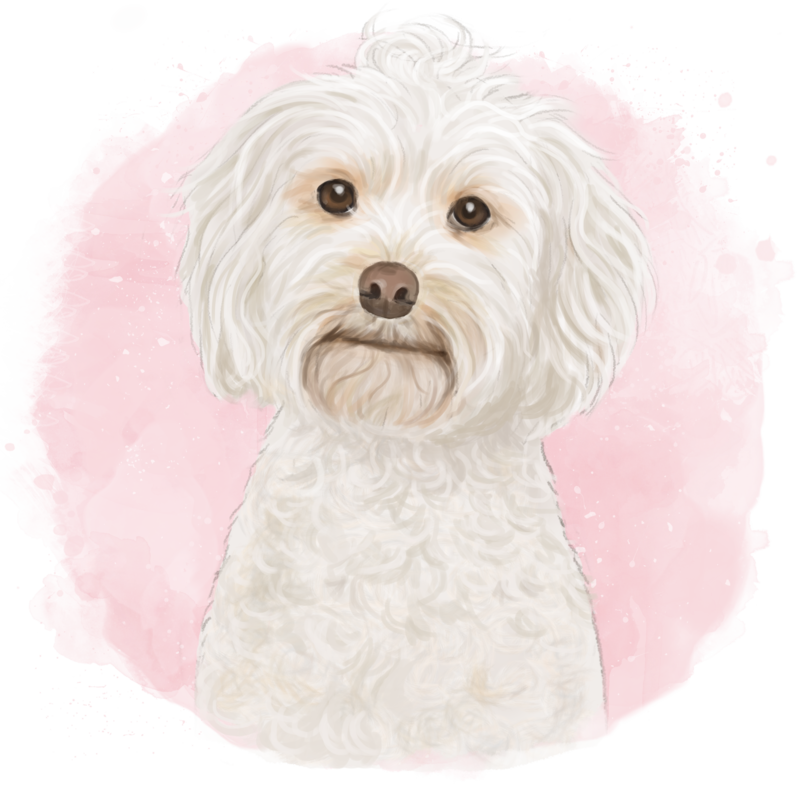 I think my shihpoo is a similar size to Piper, so have ordered the 18-20″ slim too. Here’s hoping!! Aw! Hopefully it’ll be right, they’re good at replacing them if it’s wrong too. I heard they’ve been inundated with the snow & Christmas and just haven’t been able to keep up with demand. I hope it fits! I’m so glad! They really are a life saver in the winter months. Let me know what colour you choose! Really liked your information on the suits. Wondered if the summer suit in your opinion works just as good as the fleece waterproof version? 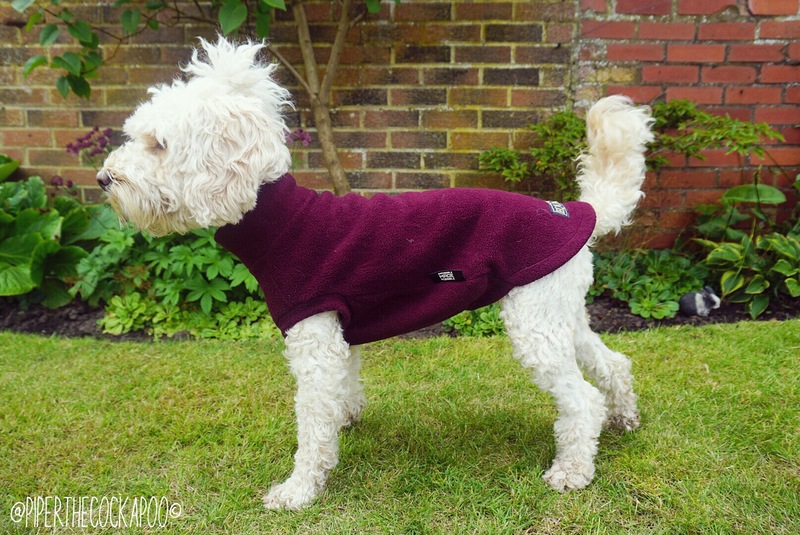 Got two King Charles and they don’t like going out in the rain but would the summer suit protect from the odd shower or muddy woodland walks as they have these in stock but not the fleece ones. Equafleece get inundated at this time of year, a combination of the weather turning and bad and people wanting them as gifts for Christmas, mean that they sometimes struggle to keep up! Keep trying though. The summer suit would keep them clean. It may leave them damp underneath though, they’re not waterproof like the full suit. If I took Piper out in the pouring rain in hers I would expect her to be damp underneath, not wet, just damp. Whereas the full suit would keep her bone dry. I’m pretty confident the summer suit would keep them dry in light rain though. That really does help and thank you so much.